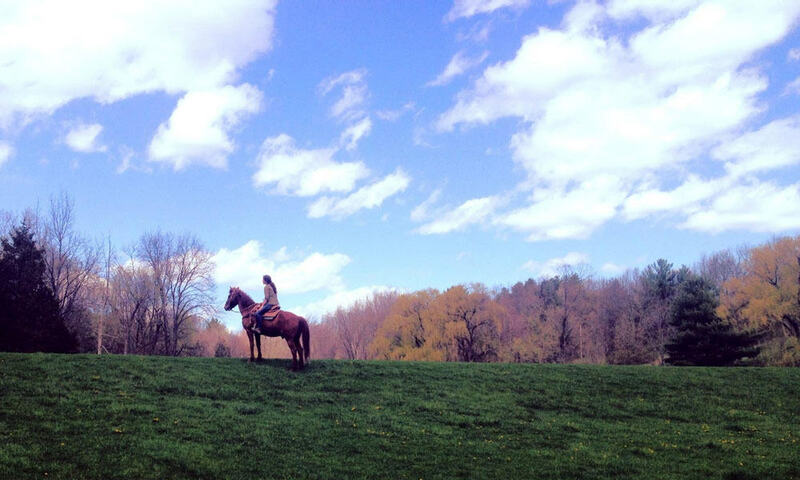 A horseback riding vacation is calling your name! It’s time to shake off your winter funk and get ready for an adventure! Pine Ridge Dude Ranch, located in New York, is offering all-inclusive, family-friendly vacations. This dude ranch is sure to impress! You can expect a whole lot of horsey fun when you sign up for one of their getaways. Pine Ridge Dude Ranch has a mix of different horse breeds. They include Quarter Horses, Thoroughbreds, Appaloosas, Paints, Percherons, Clydesdales, Haflingers, Icelandics, Morgans, and Arabians. It doesn’t matter if you’re a beginner or advanced rider, there’s something for you! They offer year-round fun! Have you ever dreamed of riding in the snow? Some of the rooms have fireplaces! After your winter ride, you can get cozy in comfort. There’s plenty to do in the summer too! In addition to riding, there’s swimming pools, rock climbing, paddle boats, a petting zoo, and much more. You can book your stay by checking out their website here!